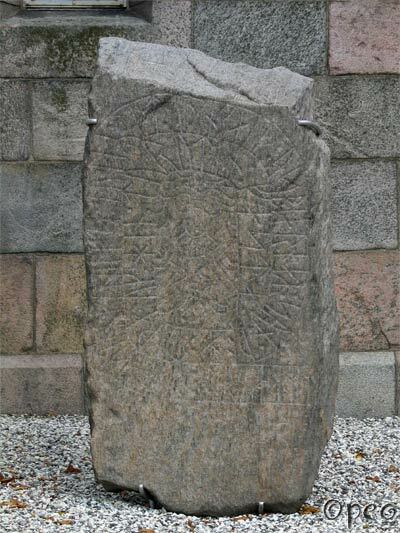 §A Sasgerðr, Finnulfr's daughter, raised the stone, in memory of Óðinkárr Ásbjôrn's son, the valued and loyal to his lord. §B A sorcerer (be) the man who breaks this monument! The §B part of the text, is on top of the stone. 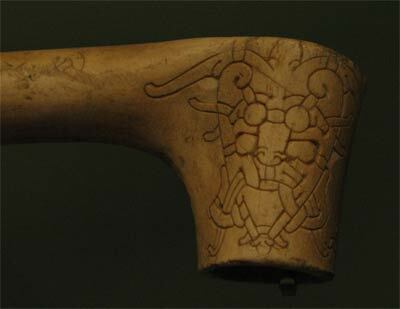 The face on this stone looks very much like the carving below, that is now at Nationalmuseum in Copenhagen.